A Green Mushroom: Challenge? What Challenge? Deathwing says, "I'll give you a challenge." In the year since I last played World of Warcraft there are only a handful (I think 2) new 5-man dungeons. 5-mans are my favorite since they can be run quickly but still take skill and thought. Raiding is too time intensive for me, so 5-mans are perfect bite sized chunks of group activity. I always liked the cooperation and challenge it took to get through 5-man dungeons. Imagine my surprise to resubscribe and find that the challenge is gone. Everyone is so over-geared for the old dungeons that they just blast through. One of the tanks in a group the other night said, "Ugh, we've already taken 10 minutes, hurry it up guys." I couldn't believe it! These used to take a slow, measured, thoughtful approach and were run in about 30-45 minutes. Now 10 minutes is a long time? I guess when the dps can just AOE everything to death then the whole run goes a lot faster, but I think it's less fun then it used to be. One thing I'm loving about running random heroics is the dungeon finder. Where has this been all of my WoW career? I can't believe how much more efficient it is at finding groups then I used to be. Instantly teleporting my character into and out of dungeons is a major plus as well. I really hope Blizzard ends up patching in a raid finder, that would just make my day. Such a huge chunk of time raiding is spent in the organization stage that if a raid finder was created I might actually have time to run some raids. I'll run a few more random heroics with my 80 druid for old time's sake and to build up some justice points, but the fast-paced, no thought dungeons are wearing thin. 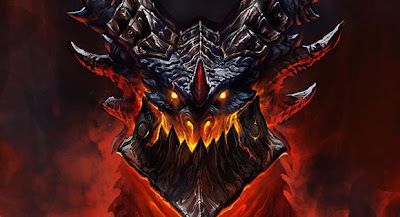 I'm much more excited for December 7th when no one will be over-geared for the new Cataclysm dungeons. People will actually have to think and talk to one another again, and I think that would be great. Until then, I'm going to have fun with my brand new level 4 Paladin! I can't wait to explore the 1-60 leveling game that's been completely redone. Also, I rolled this character with my brother so we can play together, which makes the whole experience more enjoyable. I'm sure that will tide me over until Cataclysm's release in a few weeks. That and League of Legends.